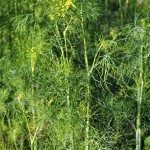 How do you prevent dill from the tiny green worms that are in the dill seeds? Before I use any dill I soak my dill in a soapy solution or put hot water over it to remove the worms from the seeds. You can not see them until you treat it. I have never heard of such an event and have not located any information on worms being contained in the seeds. It's possible you are seeing some shed of the seed when you are soaking. This would not be worms.